Time has a habit of slipping through my fingers, like sand through holes in a table. But that’s how life is. I think that I’m young now, but tomorrow I will wake up in the body of an old man; balding like my father. It’s hard to identify where the years of life pass to, but I have learned that if you live everyday with intention, laughter, and peace then you will never have regrets. Life can always be exciting and inspiring, and it is corrupt to live a single day without an appreciation for what you are doing, and an acknowledgment of how it benefits your neighbor. I know that if I lived my life the way I have these past two months, then I would grow into an old man with a face full of smile wrinkles. Nothing but love has permeated my life lately, and I wake up every morning so appreciative of the opportunities I have been blessed with. But alas, time has continued to pass steadily. Before I have hardly time to blink it’s been 8 weeks since I arrived in E. Africa. These last ten days have truly been a roller coaster, full of “hellos” and “goodbyes”; departing from old friends, and meeting new ones. Let me pick up where I left off. I returned one night from visiting the home of Askari Bura, full of his love for family. It was so sad to debrief with Bura after our visit. So many times he asked me what I thought of his home and family; as if my opinion was the most important thing in the world to him. He apologized profusely for the overall crudeness of his house (although I thought it was very nice for having mud walls), and he was adamant on telling me that when he has enough money he will build a large and suitable house for his family. I will miss him. My final poster for Wildlife Management. If it is difficult to read and you want a copy, just let me know and I'll send you one. I cannot break up my last few days in Tanzania by day, because it was honestly a blur. But I will do my best to recall everything important. After I finished all assignments and presenting my poster, I had a few days before my departure to Kenya. I spent this time exploring Rhotia a bit more than I had- going through side streets I had never been on- shooting some pool with local boys at one of the “bars” (although I never drank anything there). 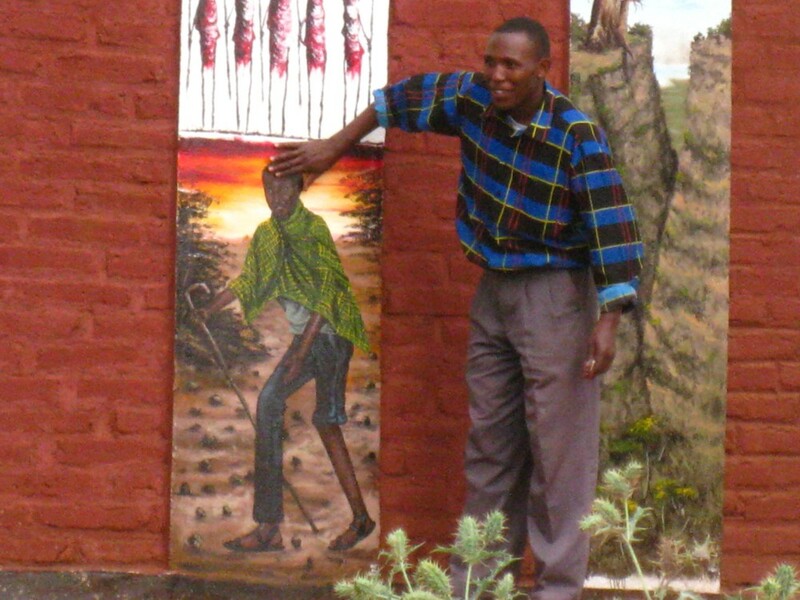 One morning a few of us revisited the orphanage in Mtu Wambu where I had previously visited and installed a see-saw. I was so happy to find that it is still holding strong, and the children will still excited about playing with it. I did not stay too long, but we had time to play soccer, draw/color, and teach the children how to play “Duck Duck Goose” which we renamed “Tembo, Tembo, Simba” (Elephant, Elephant, Lion via Swahili). 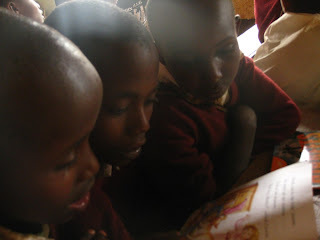 In return they taught us a song and dance called “Mimi na rafiki yangu” (Me and My Friends). We left shortly after the children ate some chocolate and then had a sugar crash, as they fell asleep in our arms after demanding to be picked up. Sadly we learned that the director) of the orphanage (which we previously met) died in a car crash only a few days prior to our visit. It was a shattering wake up call for me about just how valuable and disposable life is. Just to be alive right now is a gift, and I have learned in TZ to live everyday like it is your last. If you ever find yourself West of Arusha, Tanzania in Mtu Wambu, make sure you stop at the “Watoto Care” Orphanage then call me to report the status of their see-saw. On this note, I now want to talk about the most positive experience I have had during in Tanzania. As I have discussed before, I have established a relationship with the nearby Primary School, especially with the headmistress Mrs. Paulina. I am proud of setting up and attending nine successful visits to the school to read and play soccer. It has been amazing to monitor the progress of the students. Their reading and proficiency in English has become very impressive, their vocabularies are expanding, and they are learning songs I don’t even know like “When the Saints Go Marching In”. I taught the class “Row Row Row Your Boat” and a few others. Just before we departed for Kenya, all of our 28 students came together with their teachers and about 30 of their Level 6 students to build a suitable kitchen for the school. As I have mentioned before, the school has been cooking in a hole everyday for their 300+ students. Ever since I met with the school for the first time in September, it has been my vision and dream to get them out of their hole and into a suitable kitchen. After fundraising (500$ U.S.), visiting other kitchens in nearby schools, orphanages, and NGO’s, and finding a fundi (skilled worker) we were able to move forward with this vision. After a hard day’s work we finished laying a concrete floor for two rooms (about 10’x10’) and leaving the school with enough money and materials to customize their stove design, and fix holes in the roof and walls of their kitchen. It was a life changing project to see through. 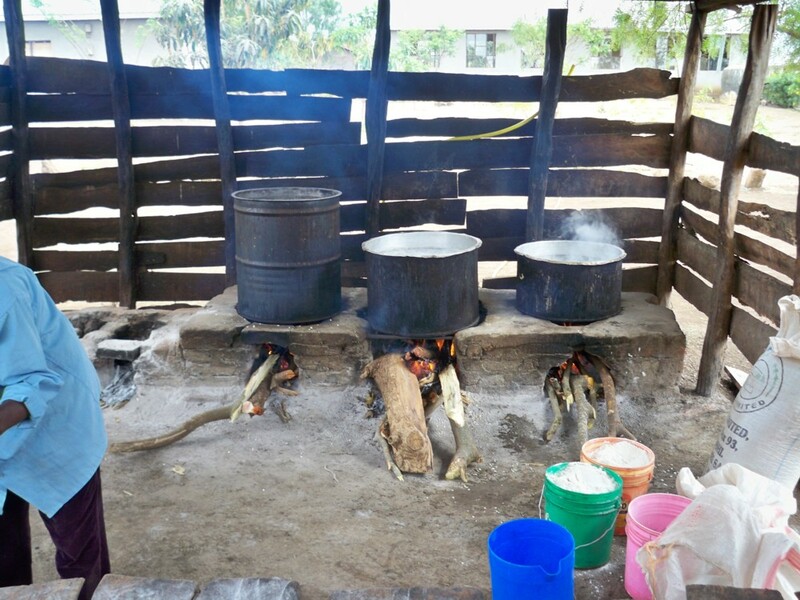 The WFF (World Food Fund) and local gov’t of TZ have wanted to get them into a real kitchen for over a year, but have failed to act. The school was so appreciative of our students’ actions in helping them, and especially my relationship with them. 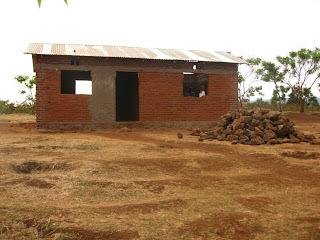 As I crawled about on all fours, laying concrete, Mrs. Paulina asked me in Swahili if I was helping them build a kitchen, or if I was building my bedroom. They really wanted me to stay, but were ok with me leaving as long as I promised that I would try my best to come back and teach for them someday…this has sprouted into another dream of mine. My relationship with the school has evoked a confidence in me I have never known before. I know now that I can really make a difference in communities where help is needed, and I have learned the most sensitive and appropriate way to go about making this change. I am a different student, worker, and person because of my relationship with the Akka Primary School in Moyo Hill, Tanzania. If you are ever there, please greet them for me, peek your head into their kitchen (and like with the orphanage) call and tell me how they are doing. THANKSSS!!!! Reading with 4th Grade Students. Structure of the Kitchen we Remodeled. The pile of rocks were used to level the floors. 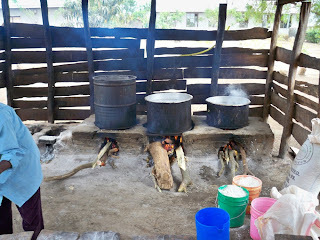 A kitchen in the nearby town of Kilima Tembo which we modeled our kitchen design after. SFS Student Sign-Up Sheet I created for Community Service Day. I spent the next day packing all of my belongings, cleaning, and preparing to leave for Kenya. I cannot believe how difficult it was to say goodbye to all the TZ staff. I have become so close to all of them; it never really sunk in that I would leave them in only a few hours. From the laughter of Bura, to the smile of Safari, conversations with Paulo, horseplay with Petro and Gerard, joking with Elia, roughhousing with Fuso, and everyone else- I will miss them all; they all of changed my life, and they know it. Paulo outside of our gate- just fooling around. One thing I did not expect to resonate with while in TZ was the politics. Since independence in the early 1970’s, one party (CCM) has ruled, they are essentially the equivalent of the Republican Party in the U.S. The current president Kikwete is up for re-election with CCM, but is being challenged by the Democratic (Chadema) candidate named Dr. Wilbrod Slaa. Over the past 35 years CCM has not really made many changes for TZ, and especially have not made a legitimate effort to pull TZ out of poverty. 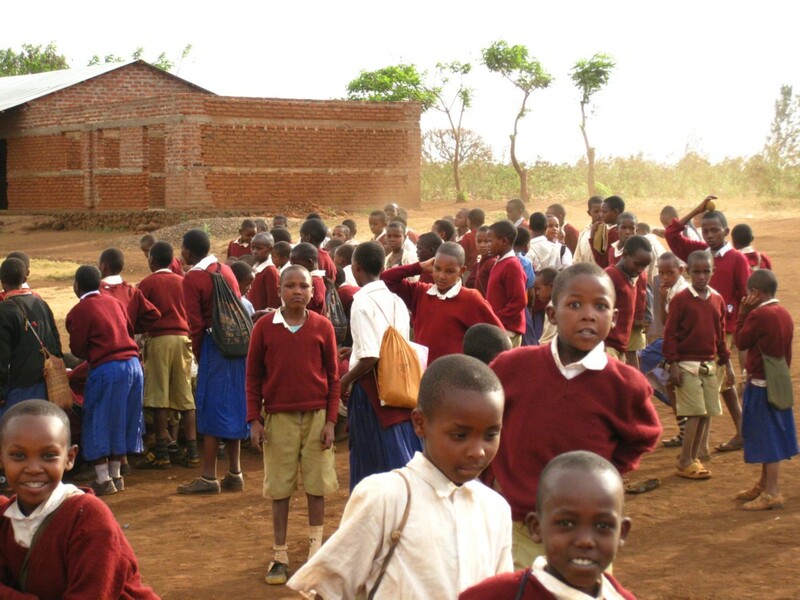 For example, it is known that Kikwete has spent $50 U.S. Million on his current campaign, while it would only take $100 U.S. Million to make Secondary School affordable for all students. He has also spent money donated from foreign aid on his election campaign. 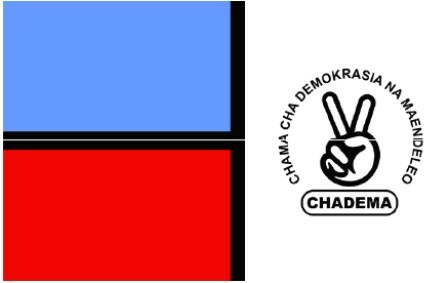 Although they have never been in power, Chadema promises more affordable health care and free education for all young Tanzanians. It is impossible to be sure if they have the resources and know how to fulfill these promises, but it is clear that Tanzania is in need of political change. Unfortunately, political lines are drawn very deep in TZ, and it is expected that you vote along family lines (if your parents support CCM, you must as well). Bura, Safari, and Paulo are all very passionate about supporting Chadema and change, to the point that when we watched a YouTube video of Dr. Slaa, Bura jumped up and down in excitement. The elections for the new president will be on October 31, and I think CCM will take it (damnit). 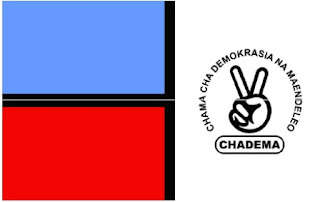 All I can say is SEMA VEMA CHADEMA!!!!!! Too quickly I sat in a land cruiser cramped with overflow luggage, and students on our way to Kenya. We passed through Rhotia, Kilima Tembo, Mtu Wambu, Arusha, and headed north toward Kenya. Finally arriving at the border, which was basically a sketchy pole locals ignored, we sat and sat. It took several hours to process all of our info, but soon we were in Kenya, passing through Kimana on our way to our new field station. We arrived at KBC field station, and were graciously greeted by the staff and current Kenya students. We spent the next day and a half settling in, and partaking in icebreaker games to get to know the other group. The camp was very very full with people, and thankfully we soon had the camp to ourselves. We have now had the camp to ourselves for two days. Yesterday we met with our new professors, and learned about the main issues in the Amboseli-Tsavo ecosystems. We were also introduced to the main Directed Research topics, which will begin in mid November (much more to come on DR later). After class we traveled to a Maasai boma, and watched the Mama’s sing and dance for us. In equality, we performed the Hokey Pokey for them…I’m not sure if it was a fair trade. 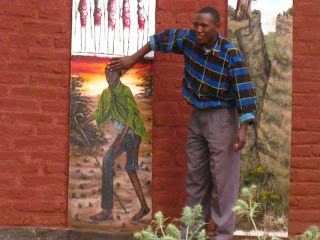 I walked around their Boma, and being talking in Swahili with two Maasai teenagers. Incredibly, they only have 25 people in their Boma, but host 150 cattle plus some goats. I was proud to have a 20 minute conversation with them all in Kiswahili without any struggles (I have continued to improve). Swahili is a beautiful language, and I really hope to continue practicing it when I return home in January. I am excited to begin exploring everything Kenya has to offer; the land, animals, culture, and people differ from what I experienced in Tanzania. I am ready to accept everything here with an open heart and open mind. 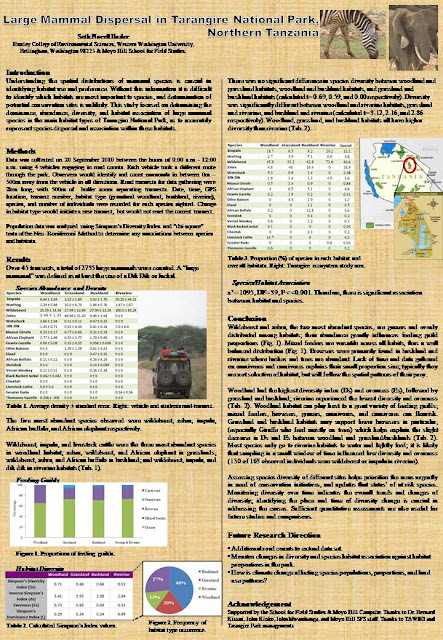 In 7-8 weeks I will be done with my research, and will have a much broader understanding for the S. Kenya (Amboseli-Tsavo) ecosystems, and the issues in this region. Of course, I will relay everything along the way….right here. P.S. I am saddened to tell you that both (my go-to and backup) cameras broke a few days ago, therefore I have not been able to take pictures. I am hoping to fix at least one within a couple of days, but if it takes a while then a few of my upcoming blogs may be lacking pictures- my apologies. Also, sorry for this late post. Internet in Kenya is VERY SPOTTY!!!! In the end, the love you take really does seem to be equal to the love you make... Looks awesome, Seth. Glad to see you're having an awesome time!